PIURA, Peru - Did you know that a desert exists in Peru? A stretch of this dusty land in northwest Peru, currently home to snakes, scorpions and scrub brush, could soon become an unlikely contributor of jobs and local well-being. In 2002, Maple Cos. (www.maplecos.com) began an attempt to buy an abandoned section of the government-owned desert in order build a sugar cane based ethanol plant. Maple intends to build out a sugar cane plantation, a milling facility and an ethanol distillery. The facility will also include a small power plant that will use the Bagasse / bagazo, or waste, from the sugar cane as fuel. The Piura Ethanol project will use irrigated water from the nearby Chira River to transform desert acreage into productive farmland. The planned facility would eventually become self sufficient, offering jobs, tax revenue, and was expected to create a drop in the importation of sugar by nearly one third. 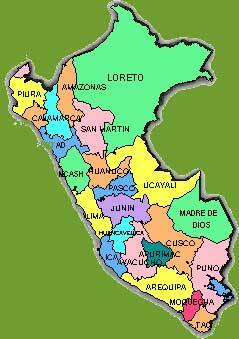 In January of 2007, the energy firm Maple Cos. closed the deal to buy 25,000 acres of unused land near Piura at cost of $100 million. The Dallas Company has also announced plans to invest $120 million into the ethanol plant. Included in the investment is a sugar-cane field to provide raw material, a processing facility to make the alternative fuel, and an underground pipeline to the Pacific Ocean. Tankers would then deliver the sugar cane-based fuel to customers in the United States. Maple President & CEO Rex W. Canon reports the plant would be capable of shipping 30 million gallons of sugar cane ethanol a year within 7 years, and as much as 3 times that amount in the following decade. In attendance at the announcement ceremony was Peruvian President Alan Garcia when Maple promised that the project would likely create over 3000 new jobs. Maple is no stranger to audacious energy projects: In the late 1990s, it built a 175-megawatt electrical power plant in the Peruvian jungle near Pucallpa with two huge generators the company had floated up the Amazon River on barges. Governor Cesar Trelles (of the Peruvian region which includes the site) hopes that the project will encourage and increase economic development. He has predicted that northwest Peru would some day be an ethanol hub, producing 400 million gallons a year. This ambitious goal would only represent 7% of the ethanol sold in America in 2006. It's easy for entrepreneurs and government officials to boast when it comes to ethanol considering the booming U.S. demand, which grew 30% in 2006, and could continue to grow in upcoming years. Maple sees Peru, with its favorable growing conditions and trade preferences with the United States, as the perfect platform from which to fulfill President Bush's demand for increasing the use of alternative fuels such as ethanol. Alternative or Renewable Fuels can be made from sugar, grains, as well as plant waste (cellulosic ethanol). A big advantage for Peru is that it is one of the best places in the world to grow sugar cane in terms of how many tons you can produce per acre per year. That gives producers a cost advantage and is great reason for developing and operating energy projects in Peru.